Who doesn't love the idea of getting their hands dirty and improving the beautiful garden or patio we have to call our own? 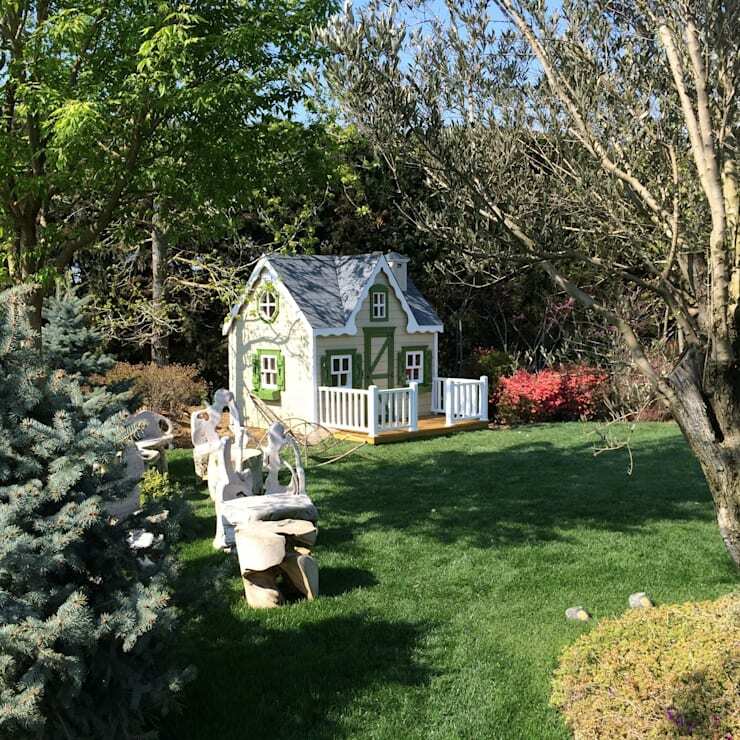 These tips and tricks might give you a bit of the inspiration you need to get started on a nice gardening, home improvement or woodworking project! There are so many beautiful garden designs to be inspired by, but often we don't have enough time or energy to create a garden of our dreams. 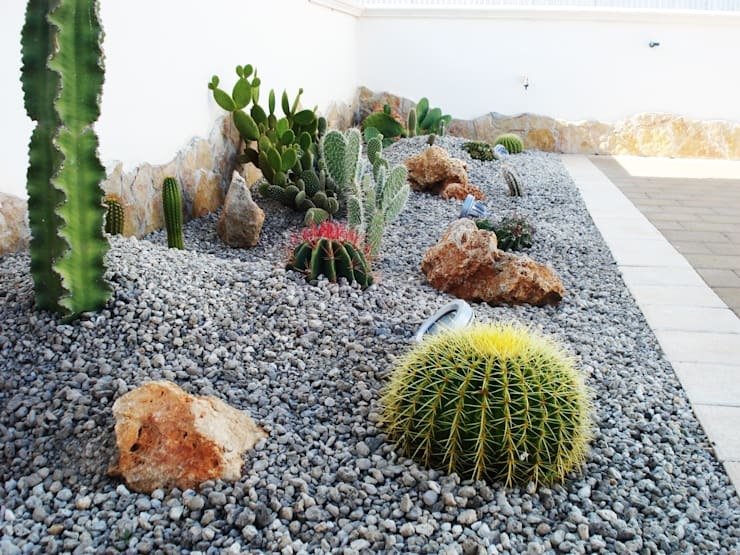 We also may not have the money to employ the help of a skilled professional who can assist us in landscaping our garden so that it looks immaculate. 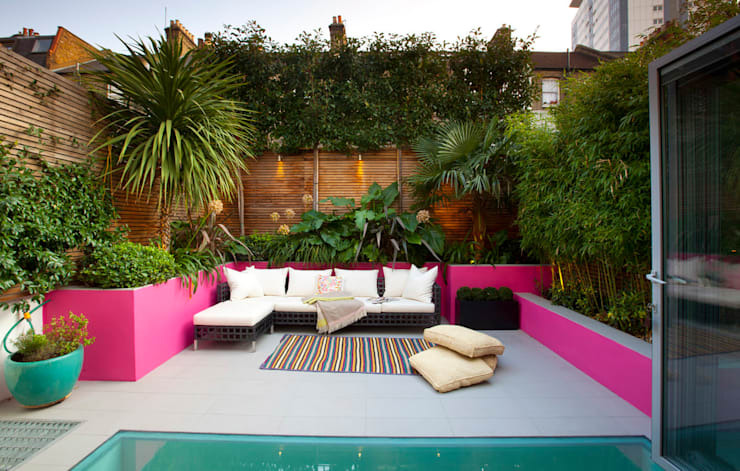 This is why today at homify, we are going to show you 16 little changes and additions that you can make to your garden, which will transform it into a dream design that looks like it comes out of the pages of a magazine. You garden can be dramatically improved by strategically placed lights. Use soft little lights throughout the exterior space to illuminate the details and designs, giving it a fairytale quality. 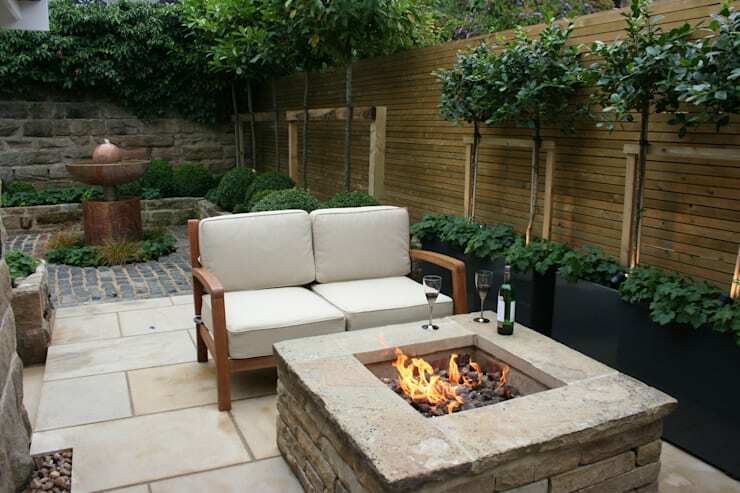 A cost-effective way to alter the entire mood of your garden is to add a firepit. This creates a wonderful focal point, where family and friends can gather around for warmth or simply to enjoy the dancing flames. In South Africa, a braai is another option, creating an outdoor cooking area that can be enjoyed throughout the year. Have a look at these 9 braais you're going to fall in love with for inspiration. 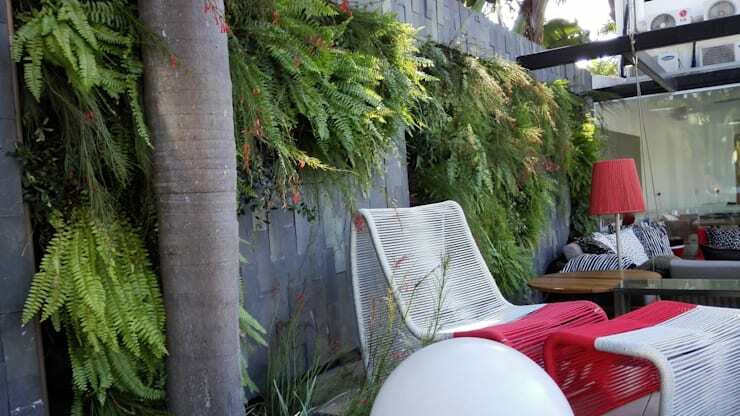 If your garden is small or if you want to go for a more modern design, make the most of your vertical space! 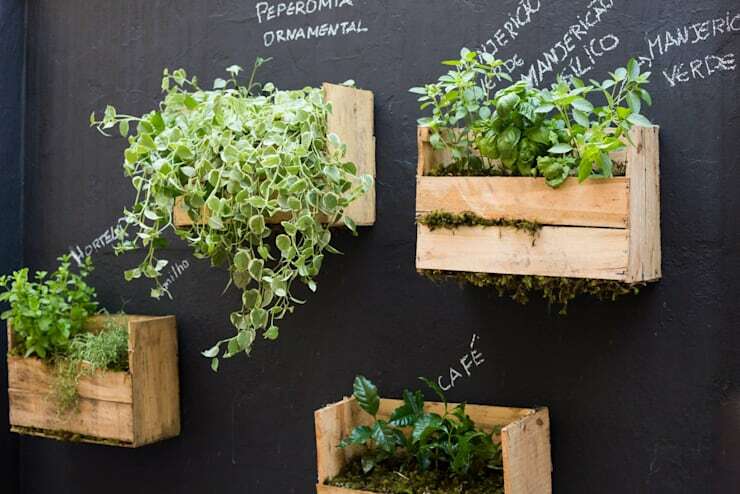 Build a vertical garden or add herb boxes to the wall in your garden for a very sophisticated and edgy design, like we see in the image. This design also shows us how we can paint a wall in our garden black, turning it into a chalkboard where the herbs and plants can be named without permanently changing the wall. Take the braai concept one step further and install a full-on outdoor kitchen and dining area. It will expand your living space to the outdoors, giving more room to work with. You'll also be able to keep an eye on the kids while they play in the garden while you're cooking. 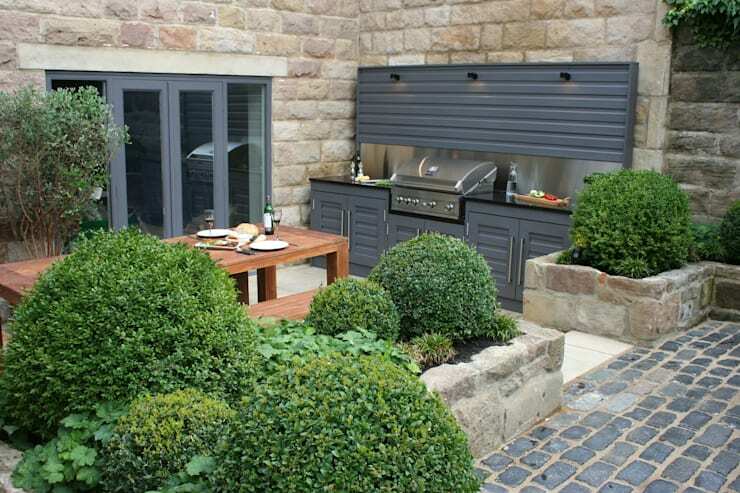 You can also add some benches, chairs and a table or two to a garden to create a stylish and cosy outdoor living space. Add cushions and rugs to this area for comfort and warmth, which can be packed away inside whenever you are not making use of this space. Wood enhances any space, whether it is the interior or exterior. In this design, we can see how a wooden deck creates the perfect surface area for a dining area, a living area or even for sun loungers. This is a comfortable and durable material, which will last in all weather conditions. It is also earthy and slightly rustic, working in harmony with the natural surrounds. Don't be afraid to add some delightful decor and design elements to your garden area including artwork, sculptures, pot plants and cushions. This is an area that should feature as much personality and charm as your interior space. 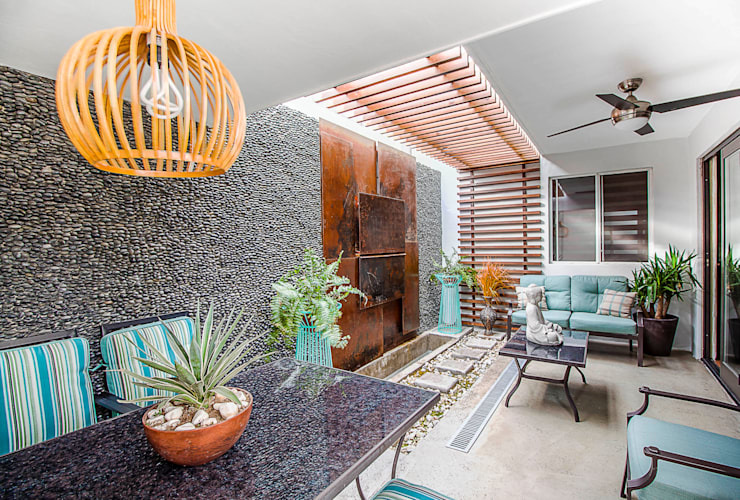 Hurricane lamps are a great addition to an outdoor garden area, providing this space with a soft glow in the evening, which is as functional as it is stylish. The glass also protects the flame so that it won't be blown out in the wind! This is one of the easiest ways to transform a garden area, especially if you're on a budget. You can also do it yourself. As we can see in this image, a pergola brings a wonderful warmth and charm to a garden, while serving as a little shelter too. One of the simplest ways to enhance your garden is to use the natural elements to your advantage. Plant colourful and beautiful flowers, add lush trees and introduce gorgeous plants. Pair with some white or grey stones for an edgy look and feel. A swimming pool is a wonderful addition to any South African garden, especially in the summer months. It provides the perfect spot for cooling down, hosting pool parties, swimming laps for fitness and health or playing with the kids. 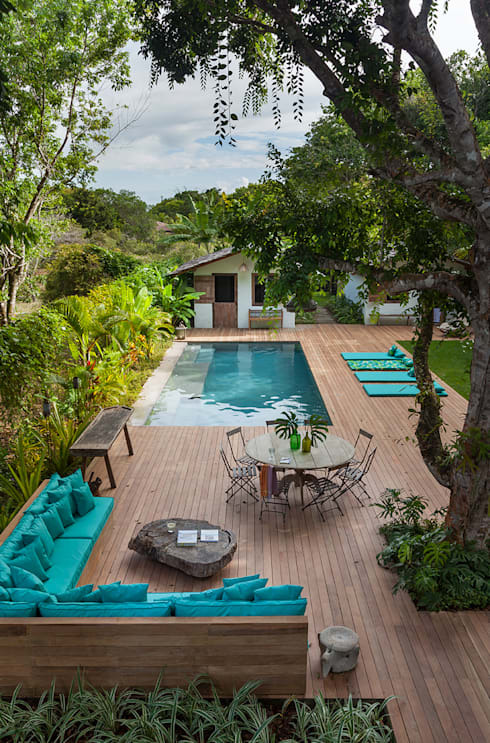 Have a look at what to know before building a swimming pool. Create a quiet little spot in your garden where you can gather your thoughts and simply enjoy the nature that surrounds you. 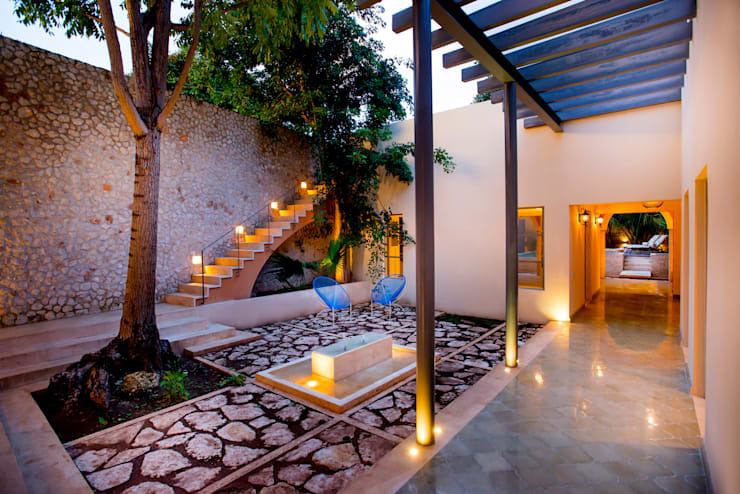 This design, for example, creates the perfect area for meditating or doing yoga or simply relaxing in the sunshine. If you can't fit a swimming pool in your garden, why not add a jacuzzi? This is a wonderful and relaxing element that will provide hours of peace and quiet. You can also have jacuzzi parties where friends and family can enjoy the warm water and the bubbles. 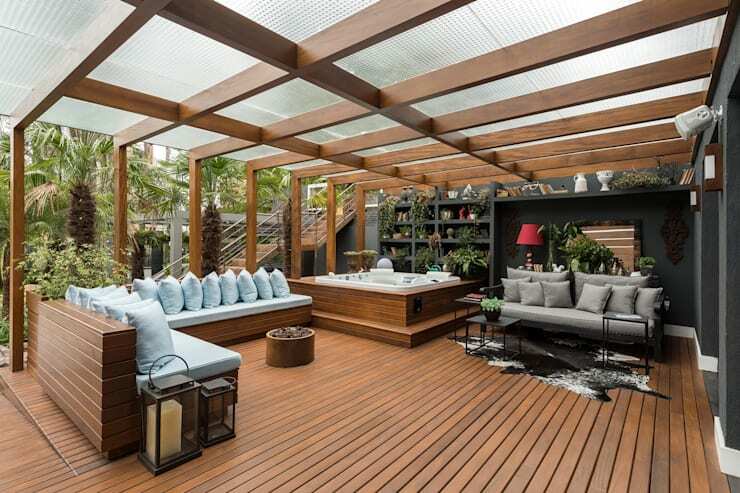 A jacuzzi also adds a stylish twist to a garden space. Not only does a water feature look very stylish and sophisticated, but the sound of a water feature brings a very serene and calming element to a garden. If you have children or friends and family who have children, make sure that your garden caters to them. Invest in toys or swings for the garden and make sure the grass is well-maintained so there's plenty of space for them to run around. While you want to have a little bit of shade and shelter available so that you can enjoy your garden no matter what the weather, remember to make the absolute most of the fresh air and sunshine. 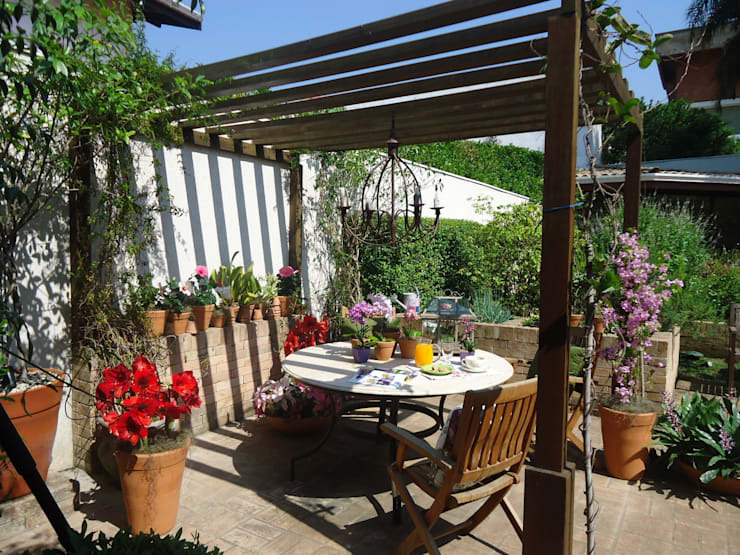 Keep spaces in the garden free of roofs or shelter, allowing the sunlight to flow! Also have a look at these tips for making a garden overnight.